The sequencing of the human genome in 2000 was heralded as a turning point for humanity—a milestone that would transform medicine and defeat cancer. Today, the longed-for promise of medical benefits endures and the quest for more data continues, but widening global inequality begs the question of how any benefits might be distributed, particularly to those with little or no health care. 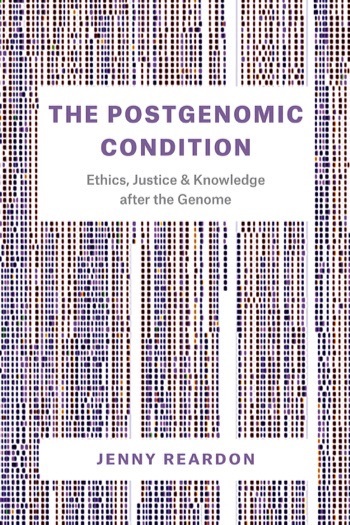 Sociologist Jenny Reardon, founder of the Science and Justice Research Center at the University of California, Santa Cruz, evaluates the promise and pitfalls of genomics in her new book The Postgenomic Condition: Ethics, Justice, and Knowledge After the Genome (University of Chicago Press, 2017). The book is based on a decade-long ethnographic study of people around the globe who were trying to transform genomics from a lofty, high-tech endeavor of elite researchers into a justice-driven initiative that would yield benefits for all. 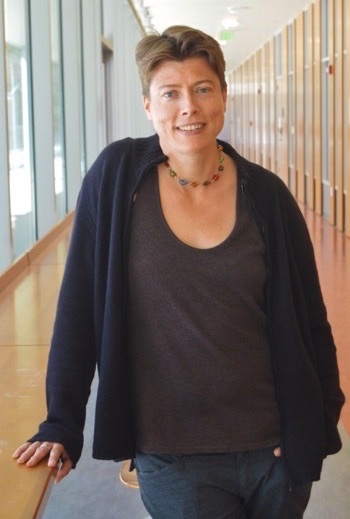 Reardon, a professor of sociology and a former gene sequencer, brings science, history, and politics together in her narrative, asking fundamental questions about inclusion, informed consent, justice, access, and the challenge of interpreting genomic data. With hundreds of millions of public and private dollars invested in genomic research, Reardon provides a timely assessment—not only of what has been achieved but what's at stake. "It turns out that interpreting the human genome is much harder than anyone thought it would be," says Reardon. As a result, researchers are focused now on identifying and interpreting variation in the human genome, which requires more data from more people of more diverse backgrounds. That, however, is challenging, because fundamental issues of consent, trust, and use of biological samples remain unresolved, she said. "When you don't consider ethical and political issues, along with the technical challenges, you often hit roadblocks, which has been the case with genomics, both in the past and today," says Reardon. Who benefits from genomic research today, and on what basis can others be promised benefits in the future? Should funding for genomic research be tied to requirements for funding basic health care? Should the sequencing of one's genome move from the elite activity of a privileged few to a respected activity of many? Is it ethical to ask individuals to sign over any and all use of their biological samples in perpetuity? Reardon presents several case studies that bring these questions to the fore and help to illustrate the challenges encountered on the path to creating "a genomics that was of, for, and by the people." In Tuskegee, Alabama—the site of an infamous example of scientific racism and abuse of human subjects, where a U.S. government-funded syphilis study withheld diagnosis information and treatment from 400 African American men—genomic researchers attempted to pursue a "policy of inclusion" in the mid-1990s by recruiting minority residents to contribute DNA samples. The effort ultimately collapsed amid questions about consent and the use of samples, concerns about stigmatization, and the inescapable truth that residents who lack access to even the most basic medical care had little enthusiasm for cutting-edge scientific research they felt was unlikely to ever benefit them. In Scotland in the opening years of the new millennium, leaders saw Scottish DNA as a natural resource of commercial and medical value and set about joining the "international bioeconomy." They went through doctors' offices and institutional review boards to contact potential research subjects, and they promised to keep samples in the country. However, their effort to maintain Scottish sovereignty by keeping the tissues of 25,000 research subjects inside Scotland's borders faced challenges when researchers needed access to technology outside of the country to "translate" the deluge of sequencing data into relevant medical insights. In the heart of Silicon Valley, 23andMe launched in 2007, seeking to "democratize DNA" and fuel a "people's genomic revolution" with spit kits and social networking. The vision of empowering people by giving them the tools to control their own genomic data captured the public's attention—and promptly became caught up in legal and ethical challenges. "Each initiative started with a grand vision of purpose—countering racism, protecting sovereignty, democratizing science—but ultimately the vision confronted these unanswered questions of fairness, governance, and trust," says Reardon, author of the 2005 book Race to the Finish: Identity and Governance in an Age of Genomics. If the first phase of the "genomic revolution" created lots of genomic data, the second phase is dominated by efforts to "free data from institutional silos" and to advance biomedical research worldwide, according to Reardon. However, a whole genome sequence is too big to open on a personal computer, and viewing a genome sequence—never mind interpreting the data—requires access to universities or companies that have enough computing power. Universities and corporate partners keep the dream of "precision medicine" alive, framing their work as a "moral good" and inviting people to contribute biological samples as part of their urgent effort to save lives. "For many, these developments did not represent a corrosive intrusion of corporate culture into the protected space of the doctor-patient relationship, but rather innovation," writes Reardon. Reardon explores the broader effects of this embrace of big-data approaches to medicine, including concerns about trust and what constitutes medical authority when data is shared widely across multiple institutions, and even the future of patient-provider relationships in an era when apps and do-it-yourself "empowerment" is becoming a mantra for medical care. "Many promoters of genomics promise individuals new extraordinary powers: the secret of their lives and the cure to cancer, but they promise too much," says Reardon. "What's needed are more modest aspirations that are responsive to the needs of a stressed health care system, the lived realities of patients, and the complexities of biology." How, she asks, should society respond to the creation of high-tech genomic medicine whose products—such as the new immunotherapies—cost hundreds of thousands of dollars a year? How can we forge collaborations across the informatic, biological, and medical sciences needed to make sense of genomic data? "Interpretation of genomic data is a complex issue,” explains Reardon. “It cannot be solved by science and technology alone. It requires genome scientists, social scientists, legal scholars, bioethicists, clinicians, industry leaders, and patient and social justice advocates working together to figure out how to transform the promise of genomics into benefits accessible to a broad range of publics. Good science, good medicine, and the good society are made together." Reardon is calling for a new national commission to focus on justice in human-subjects research. The commission, she argues, should address three persistent questions that have bedeviled genomics: First, how can we ensure that investments in science and technology benefit more—and more diverse—people? Second, do we need a public institution to support conversations about science and technology and to help facilitate policy change? And third, what is the relationship between innovation in science and technology and inequality? Addressing these issues will enhance the value of genomics research, asserts Reardon. "Genomics may lead to new drugs, but they won't come cheap," she writes. "Difficult decisions will confront health care providers and governments as they try to decide how to allocate public and private resources to create access to them. For genomics to make good on its promise of improving well-being, we need to focus on these issues and chart a path forward that advances the goals of science and justice."